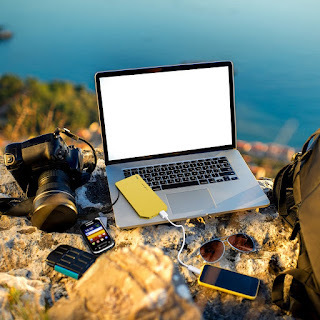 When we are on the go rather it is for business or pleasure we take our cell phone, kindle, tablet and other electronic devices that at some time or another will need to be charged again. I recently found PermaCharger that is ultra-slim, lightweight and portable. I got the color yellow that has Charges, which is practically any device with a USB. Get up to 50 hours of talk time, 36 hours of Internet use, 40 hours of WiFi use, 40 hours of video playback, 181 hours of audio playback and 909 hours of standby time on most of any device with a 5V USB input. With this cutting edge design comes with a built-in micro USB charging cable, a built-in male USB connector, and a second output. The built-in micro charging cable (which acts as an output) enables you to charge major brands such as Samsung, HTC, Motorola, Nexus, Nokia, LG, Blackberry, Kindle as well as many other Android devices. In addition, the built-in male USB connector allows you to charge the device itself with the help of the AC wall adapter we provide you for FREE. The second output, which is located on top of the power bank, will enable you to charge 2 devices simultaneously. 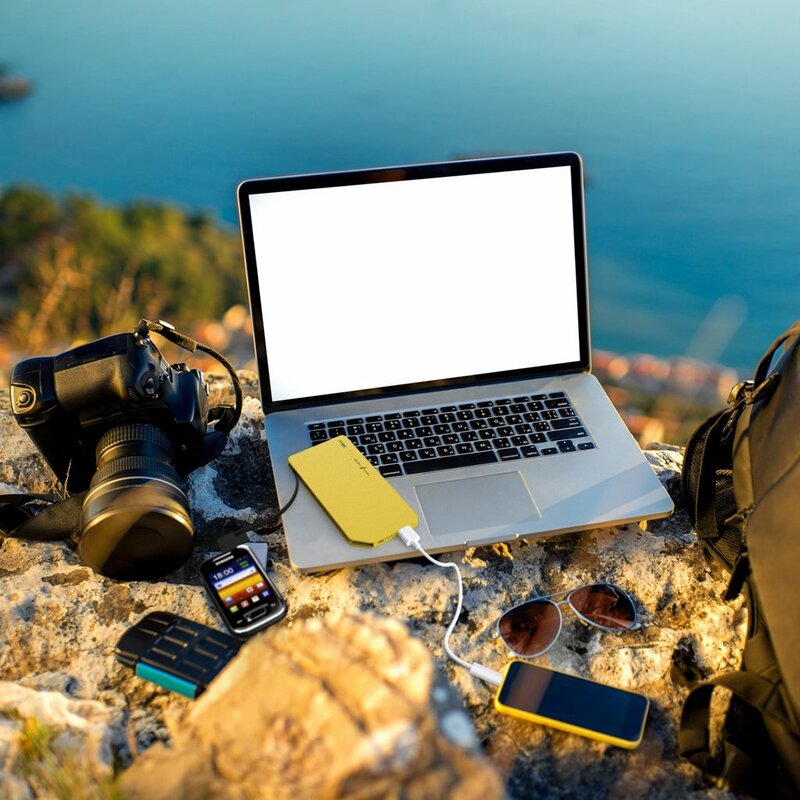 We are also one of the only portable charger brands to include an iPhone 5/6/6+ lightning cable, a USB 3.0 Connector, a Mini Connector, an iPhone 4/4s Connector, and an additional Micro Charging Cable. These FREE accessories are easily a $37 value & will relieve you of bringing your own charging cables & wall adapter for your portable charger! This 8,000 mAh power bank is constructed with extremely high quality lithium ion polymer batteries, which allows it to charge an iPhone 5 up to 4 times and a Samsung Galaxy S5 up to 2 times before it's discharged. My Opinion: I like the design and how easy it is to hook up and use then when needed charge again for long travel times but right now y use makes it last a while. I am not fond of the color yellow as it is bold and not me. I think you need more pastel and other fun colors not to mention designs. I like that I fits perfectly in my backpack or purse to take when I go on long road trips or flying. I also think you need a stylish case to carry the charger in as well . I like that it is universally compatible and will work with almost any device with a USB. I like that it's so slim that I can put it in my pocket or purse. I love the Patented Ultra-Thin Design. I like you get up to 50 hours of talk time, 36 hours of Internet use, 40 hours of WiFi use, 40 hours of video playback, 181 hours of audio playback and 909 hours of standby time on most of your devices! I like that it uses high quality lithium ion polymer batteries for power. I like that I can use it for so many devices including my iphone and tablet. I like that you can use it with just about anything that has a USB port. I like that it's slim and lightweight. I like that they include a free AC wall adapter for charging. I love the one year warranty on this and it is lightweight. It looks really durable. I love that it can give you 36 hours of Internet use and 40 hours of WiFi use. I like that they give you nice selection of capacity choices and this one with its 8,000 mAh power bank is a nice price point but still gives you a lot of power. I like that the charger is well priced (nice discount too) and considering the added accessories that come with it, a real deal. I really like how thin it is. I like the unique design of the charger, unlike many simple black ones I've seen and used. I like that it has a built-in adapter, so there are less parts to keep together. I like how they cover every aspect of their product with really great descriptions so you can decide if it's what you need. I like that it has a 1 year replacement. I like that with purchase they offer their VIP Membership Club with a free eBook. I like that this charger is competitively priced--and a great sale price right now too. I like that they generously include 5 free cellphone cables in the package. I love the size...small and compact so I can carry with me. I love everything about it. Especially that I can take it along with me! Thank you for the review and giveaway! I love that it will work with almost anything that has a USB port.